SAN FRANCISCO (KGO) -- Many of the ABC7 workers and our extended ABC7 family pitched in to brighten the holidays for Bay Area children. Members of the United States Marine Corps Reserve picked up boxes stuffed with toys and games at the ABC TV Broadcast Center Wednesday afternoon. 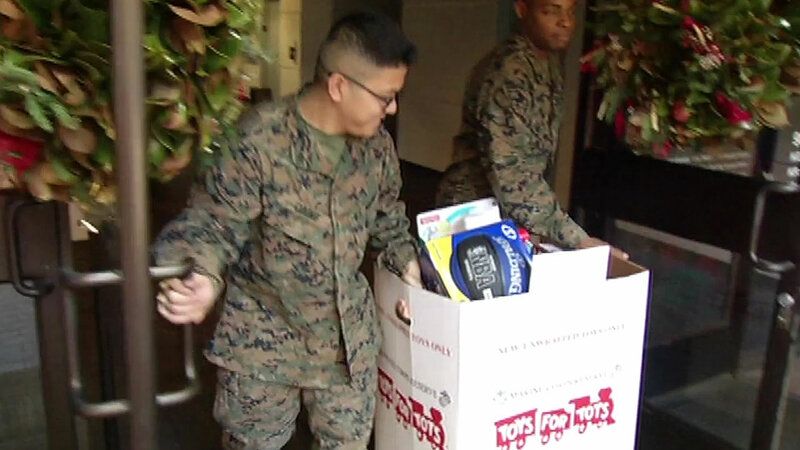 The Marines lead the effort every year to help Santa deliver toys to underprivileged children across the Bay Area with their "Toys For Tots" program. How are you preparing or spending the holidays this year? Share your photos or video with us on Twitter, Instagram, or Facebook using #abc7now.